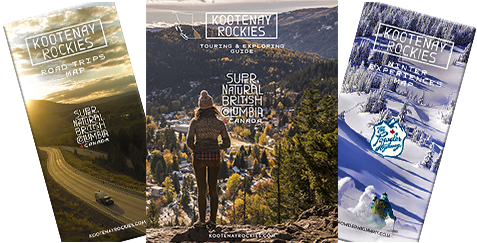 Discover the Kootenay Rockies 'best kept secret' along the shores of Kootenay Lake. The delightful Balfour Golf Course is a diamond in the rough and, certainly, one of the real charmers in a region chock-full of fantastic, off-the-beaten-path courses. With friendly staff, cozy clubhouse and dazzling views throughout interesting elevation changes - especially on the exquisite finishing stretch! - the Balfour Golf Course is a 'secret' you need to uncover on your next trek through the Kootenay Rockies. This hidden gem is located only 25 minutes north of Nelson, near the Kootenay Lake Ferry Terminal. This magnificent 6,510 yard course, designed by Les Furber, features private lakefront meadows and majestic forests. Winding up and down through the Selkirk Mountains, stellar fairway and green conditions cap an awe-inspiring golfing experience. After your round, relax at the Mountain Osprey Grill. The restaurant offers a wide array of food and beverage options that are sure to satisfy any palate. The stunning patio overlooks the 1st and 9th holes. It's the perfect spot for your apres golf enjoyment. The Balfour Golf Course offers a number of exciting options such as the BGC Advantage Program, Stay and Play Packages, Tournaments and League Play, Golf Schools, Coaching Programs, Private and Semi-private Instruction, and Banquet and Catering amenities. Check their website for complete information and details on each. The BGC Advantage Program is an amazing offer which will save you money on your green fees all season long. The program will not only give you access to a discounted green fee structure that gets better the more you play, you will also be earning advantage points for use on green fees, power cats and range balls as well as gaining access to a series of exclusive BGC Advantage Card holder benefits offered throughout the season. The Balfour Golf Course also offers course-side accommodation at the Kootenay Lakeview Lodge. The lodge offers many amenities including a continental breakfast to overnighting guests and some unbeatable Stay and Play packages. Balfour's golf season is April to October. Set along the shores of beautiful Kootenay Lake. A wonderful day for a round of golf.